behind him. Capt Dancy noted the Captain's Insignia on "Doc" Goss's hat, along with the gold band of a Captain. 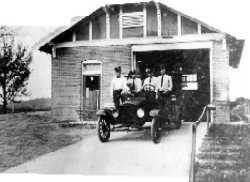 INTERESTING FACTS ABOUT NLR Fire Station Number 6: This Fire Station was originally the Levy City Hall. September of 1946. 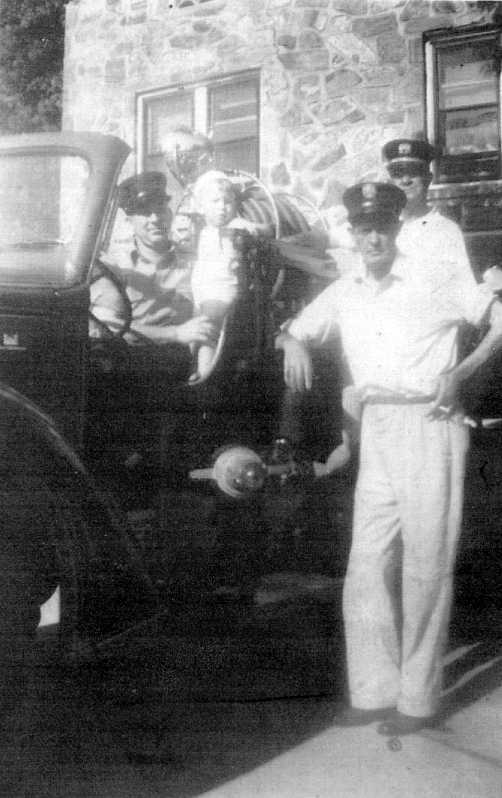 The former Levy City Hall opened as North Little Rock Fire Station 6 on October 18, 1946. 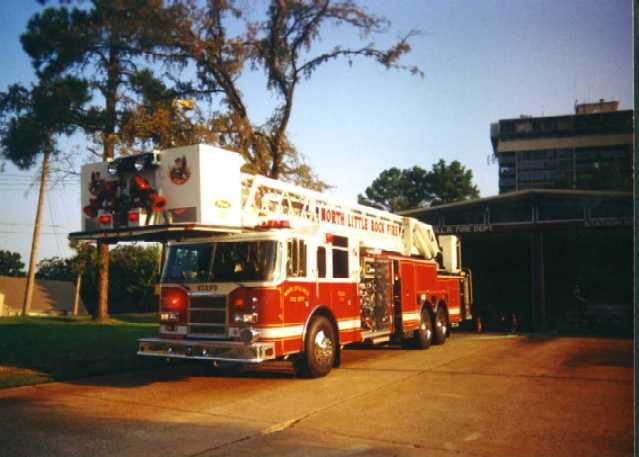 Interesting Facts About The Above Photo: This pumper was a borrowed Corps of Engineers Pumper (note the insignia on the hood). annexed part of NLR. The two 1947 ALF 750 "Invaders" did not arrived until December, 1947.